Do you love to read news on your smartphone while on the move but have to switch from one website to another to find your fill of trending news? 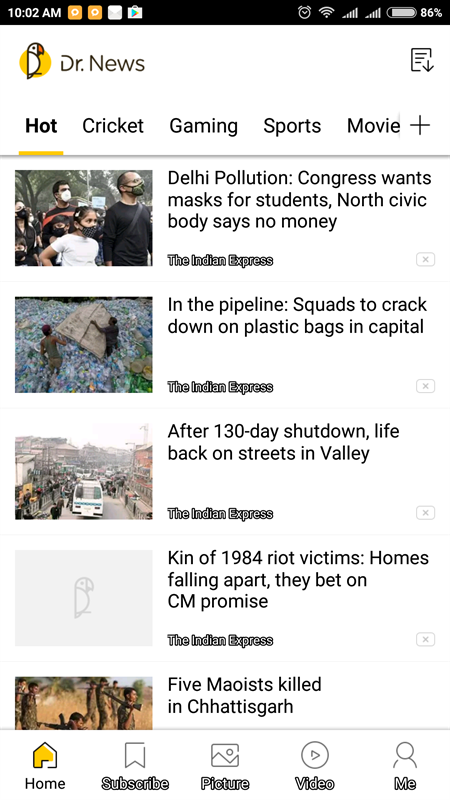 Today we are reviewing a news aggregator app for Android - Dr.News which tries to reduce this effort by scouring famous news portals to get you the news you want at one place. Is it able to impress an addict news reader like me to use its app? Read on to know this and more. Our daily life is filled with a variety of tasks, getting up from bed, getting ready for work, traveling, reaching office, doing work, coming back home, relaxing, having dinner and going back to bed. In between all these minute tasks where are "filler" periods of time gap where we take a break and do nothing or something to take our mind off. This can be your time during travel in a public transport, during tea or just before going to sleep. Each one of us fills this time in different ways. In for one, love reading news especially financial news. I have a few favorite websites for such news which I like to read and to read them on the go I have their apps installed on my mobile phone. However, sometimes it becomes a little inconvenient to keep shifting from one app to another to read the articles. And even then in the end I end up using my browser to search for more interesting news if I am not too busy during the day. 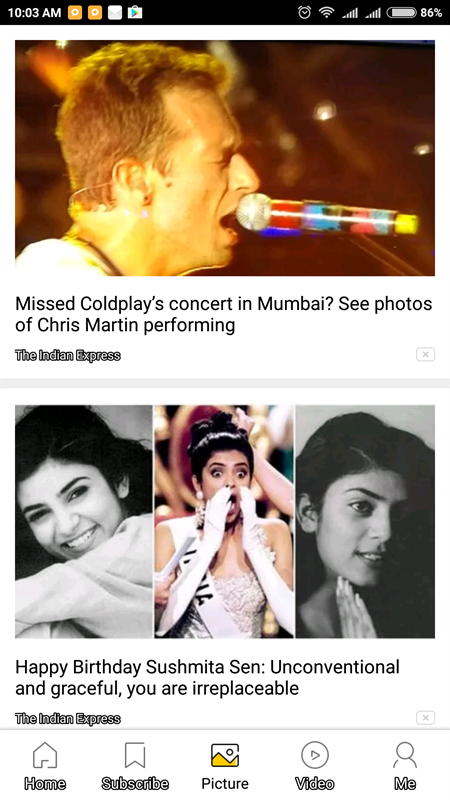 A quick solution to satisfy this need of mine to read interesting articles directly from one interface is satisfied by using a news aggregator app - Dr.News. 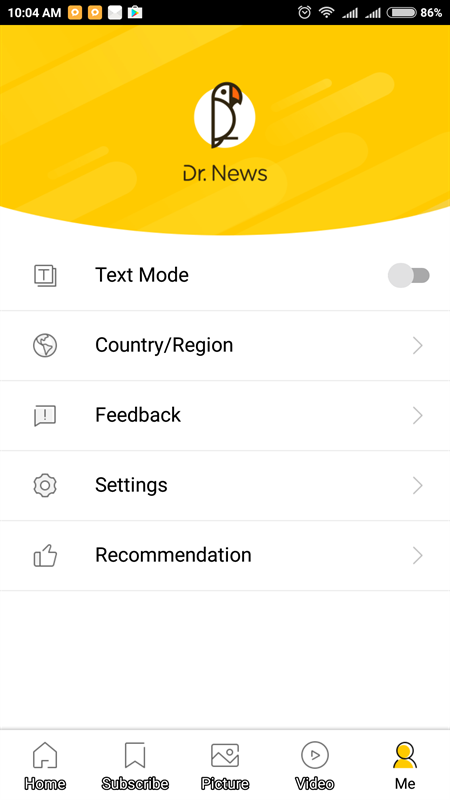 Dr.News is a content aggregator app that scours popular sources for viral content belonging to different categories of news in all types of media category - Text, Pictures and Videos. One can get viral International news, Fashion, Sports, Tech, Food, Automotive, Games, Gossip/Rumors, YouTube viral videos and more on this app.The best thing about the app is that it is complete free and delivers content directly on your phone with just one app. Whatever your taste may be, you can get your trending news just by switching to one of the category tabs. You have the option of choosing from Cricket, Gaming, Sports, Movie, Tech, Food, ENT, Fashion, Gaming and Hot news. If you are in India you will be able to see content from some leading news papers like The Hindustan Times, The Indian Express etc. If you are in United States you will see news from The Guardian, Rolling Stone, TMZ etc. More news sources are continuously being added. If you are more interested in multimedia content then you can use the Images and Video section of the app where you can watch entertainment related images, sports videos and more. When you install and start the app you are asked which location you want to see news from. This can be Global news national news from either India or United States. 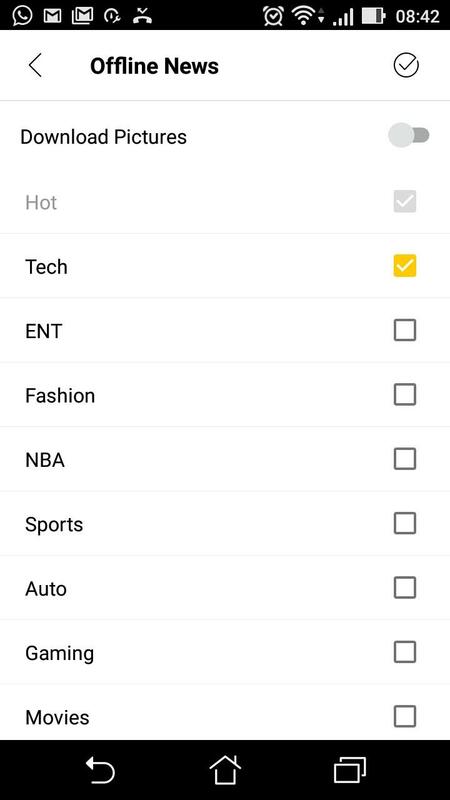 Later too you can go the the Settings menu and change the location from where you want to see the news from. Yes, you read it right. 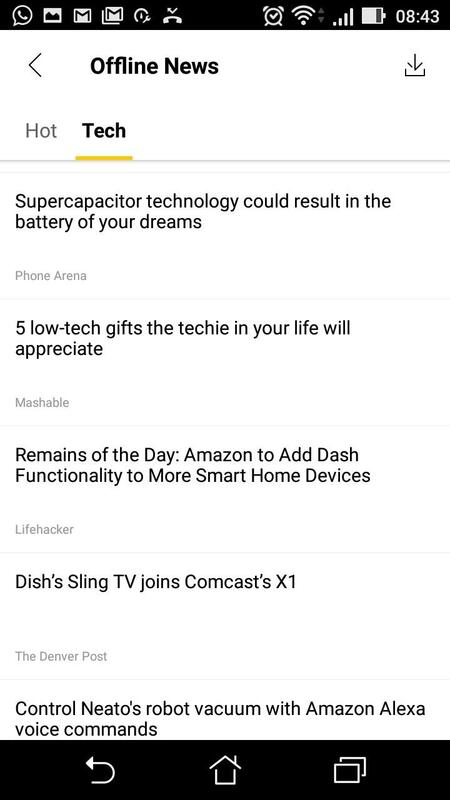 You can select which category of news you want to read offline and the app will download the trending news articles on your smartphone and you can easily read them later. You can also select if you want to download the photos for these offline downloaded news articles or not. Offline mode though doesn't support Picture and Video section. To say the least, Dr. News is a least cluttered app. Most of the screen space is dedicated to the news. You can switch from one category to another with a simple switch. If you are on a low speed internet connection you have the option to disable download of images and get just text. While the top area is for the Categories, the bottom has a shortcut for the Home button, Subscribe section to news channels you have subscribed to, Images, Videos and Me section where you can configure few settings including the Text Mode which will disable image downloads. 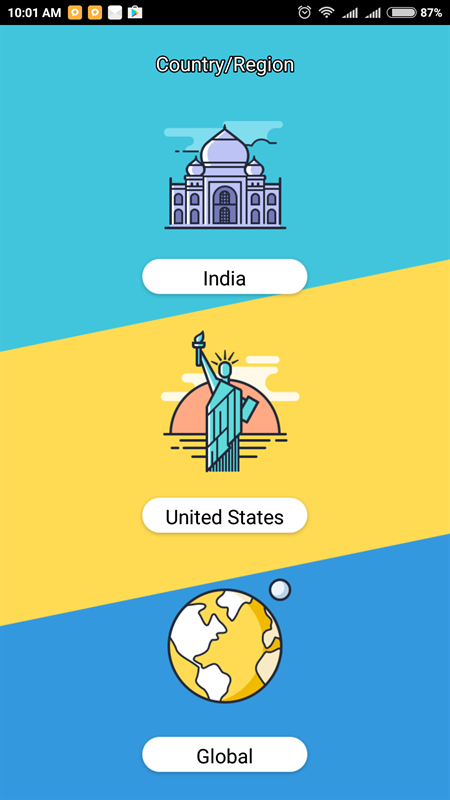 Here you can also select the Country you want news from. Other than that you have a Settings Menu where you can clear the Cache of the app, check About Us section and see other apps from the developer Dorado. All in all, Dr.News is a great app for catching up of the latest news without much of a distraction. 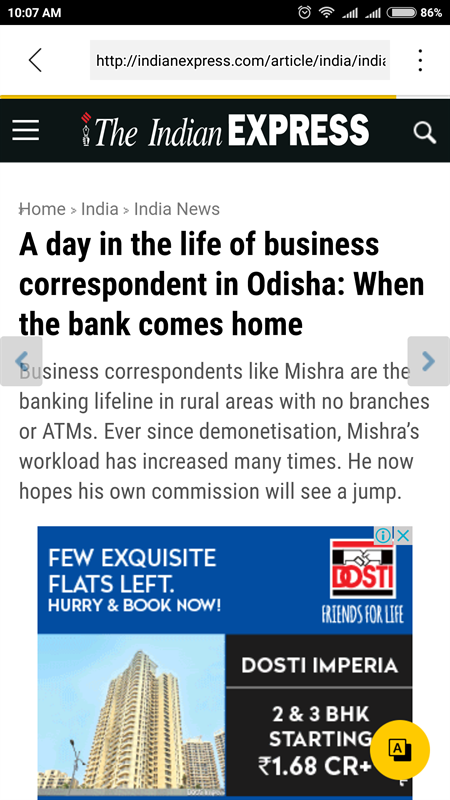 The app is boring in a good way in that it does not have have irritating pop up ads or even banner ads on bottom where you might click by mistake and be disturbed while reading an interesting piece of news. The news loaded up fast on my smartphone but then it totally depends on the speed of your internet connection. Though as mentioned before you can also speed that up by disabling download of images. One thing I felt lacking in the app as of now is that it is sourcing its articles from very few sources which can be increased to very good publications presently that are available online. In end, I would totally like to recommend this app to all you love to read news like me and want one app to take care of daily dose of the same.